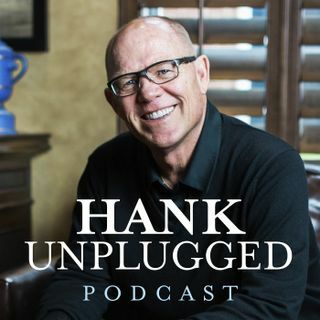 This week, Hank is joined on Hank Unplugged by the executive director of Levant Ministries, Fares Abraham, to discuss the great opportunity for ministry in the fertile soil of the Levant. Hank has traveled to Bethlehem and spent time with Fares and his family in their homeland of Palestine, and this conversation conveys how the love of Christ can provide strength in the face of intense persecution. Topics discussed include: being a Christian in Palestine today (2:00); The Apocalypse Code and ... See More its impact on the Middle East (9:30); the vision of NEXTGEN conferences to use Millennials to impact the Middle East (14:00); the power of the gospel to impact the Levant and Western Civilization (23:00); are all Muslims terrorists? (27:00); distinguishing between Muslims as people and Islam as a religion (30:00); the serious responsibility of Christians to act like Christ (33:00); the gospel in the Levant (38:00); the prejudice of many church pastors against Palestinians (42:00); the importance of sound theology in understanding issues in the Middle East (48:00); Fares says a prayer for the Levant and the body of Christ (59:30).